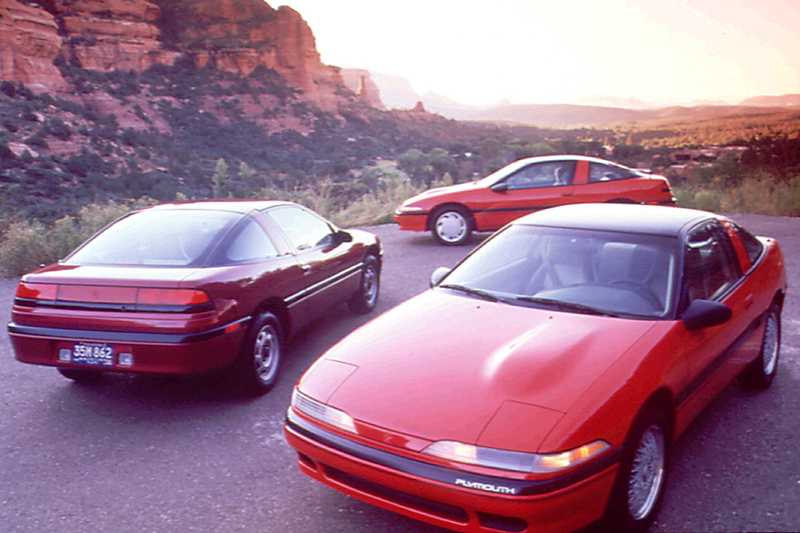 Mixing fun with frugality, Lasers and their Mitsubishi/Eagle coupe cousins have ranked among our favorites, especially with the midlevel engine. 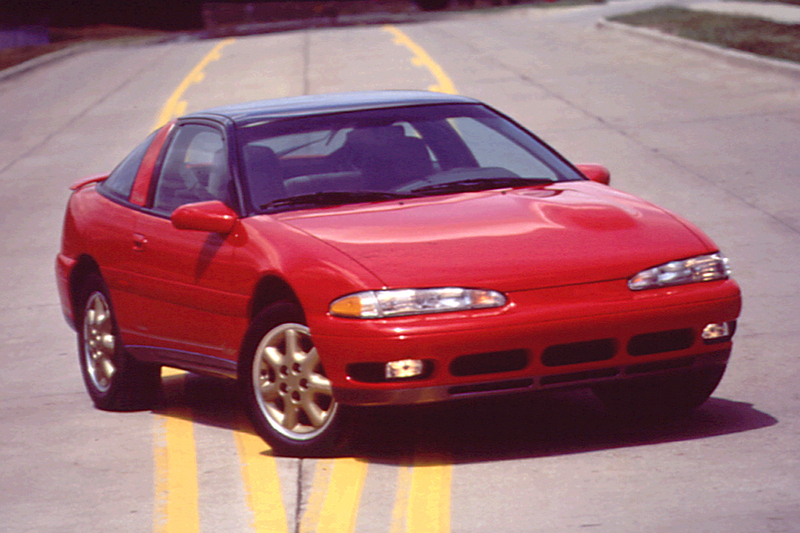 Similar in appearance and mechanical details to the Mitsubishi Eclipse and the Eagle Talon, Plymouth’s sporty front-drive coupe debuted in January 1989. Base-model Lasers carried a 1.8-liter 4-cylinder engine, whereas a 135-horsepower, 2.0-liter twin-cam four was optional under Laser RS hoods. 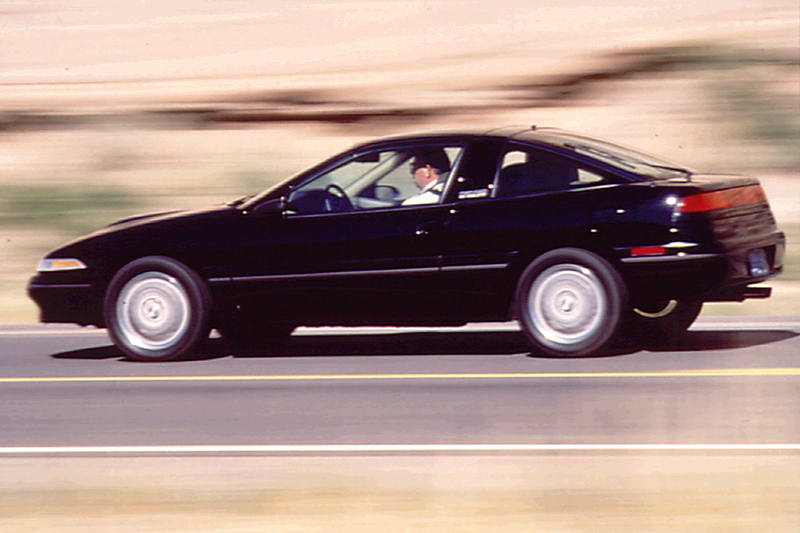 The top-flight RS Turbo used a turbocharged 2.0-liter rated at 190 horsepower. A 5-speed manual transmission was standard; 4-speed automatic optional, except with the turbocharged engine, which was manual-shift only. Antilock brakes joined the option list this year, and the Laser’s turbocharged engine could now be ordered with an automatic transmission instead of manual shift. This year too, the Laser RS came only with the midlevel engine: 2.0-liter rated at 135 horsepower. 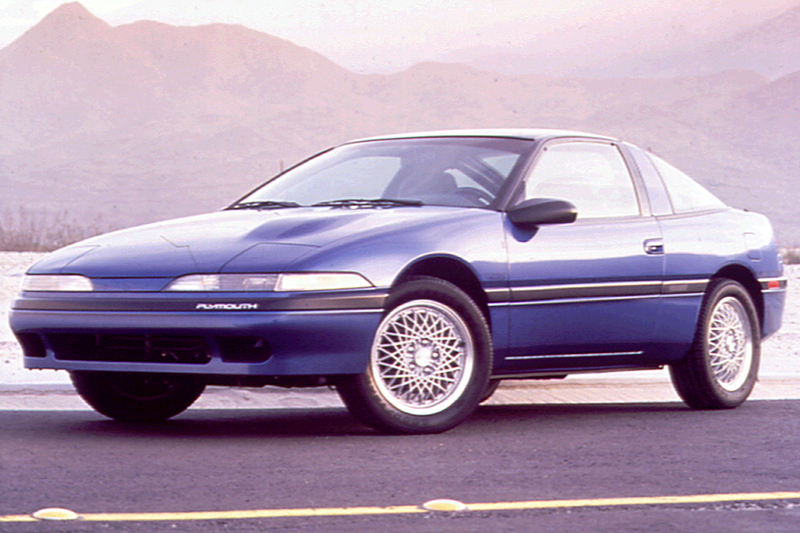 Lasers earned some cosmetic changes for 1992, and a new all-wheel-drive (AWD) model joined the lineup. 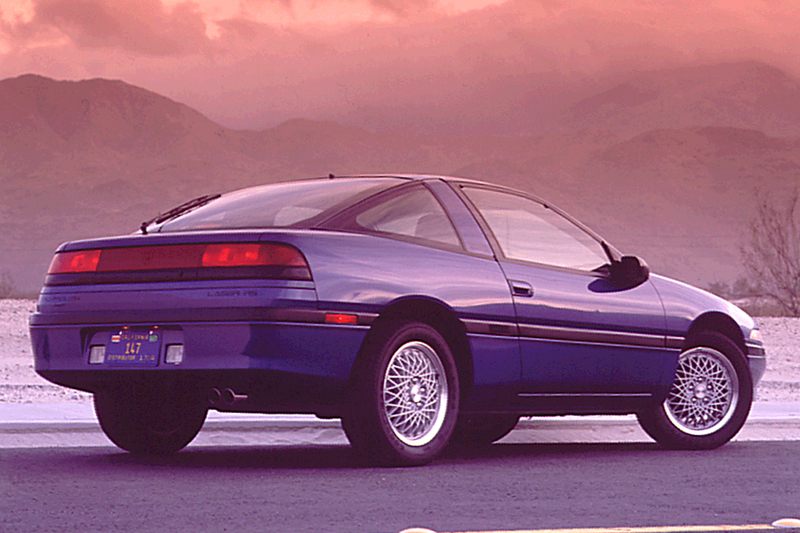 Plymouth’s RS Turbo AWD came only with manual shift. Front and rear ends got a fresh look, with exposed aerodynamic headlamps replacing the previous hidden units. All-wheel-drive Lasers could be ordered with an automatic transmission this year. With automatic, the horsepower rating of turbo models dropped to 180. All Lasers except the base model could be equipped with antilock braking. For its final season, Laser got only detail changes. Lasers came with one of three engines: a 1.8-liter 4 cylinder rated at 92 horsepower, in base models and 1990 RS models; a dual-overhead-cam 2.0-liter four, which made 135 horsepower, available in the Laser RS; or a turbo 2.0-liter for the RS Turbo. Only 5-speed manual shift was available for the 1990 Turbo and ’92 AWD, but all other models might have a 4-speed automatic transmission instead. Engines and transmissions were produced by Mitsubishi. The 1.8-liter engine lacks punch, especially with automatic, though it runs smoothly. Sending just 92 horsepower to an automatic transmission simply does not do justice to the car’s sporty appearance. Performance is better with the 2.0-liter engine, faltering less with automatic. Because it lacks low-end torque, however, manual shift is still the best bet for peppy motoring. Turbos take off with fury, but suffer from “torque steer.” The all-wheel grip of the AWD model, added in 1992, eliminates the torque-steer problem and provides all the excitement of turbo power. Ride quality is decent, and roadholding is good. High-performance tires and a stiffer suspension on RS models harden the ride somewhat, though they help boost handling from good to great. Tire noise is a problem on any model. The dashboard layout is excellent, with easy-to-read analog instruments and a simple arrangement of smooth-operating controls. But, because the dashboard and beltline are rather high, some drivers might feel a bit claustrophobic. Also, cargo space and visibility aren’t top-notch, and the back seat is for children only. Description: Operation of factory-installed sunroof in “nonstandard” manner may cause hinge disengagement. Description: Diluted primer may have been used on windshield-opening flanges of a few cars, which would not provide required retention of glass. Description: Headlamp-wiring harness on some early models may break due to stress created by their pop-up devices. Description: Front-seatbelt release button can break and pieces can fall inside. Description: Lockup of transfer case can occur.